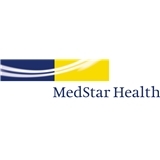 MedStar Health Cardiology Associates (Washington) - Book Appointment Online! Established in 1979, Cardiology Associates, LLC, includes the area's most experienced and respected cardiologists and vascular surgeons. We are proud of our reputation as healers and leaders in the field of cardiovascular medicine. We recognize the needs of our patients and strive to provide comprehensive Cardiovascular Care, enabling our patients to have full and active lifestyles. We collaborate with the finest hospitals to provide the best in acute, long-term, and preventive care.